5 star service! Was asking the driver to come at 4am as I was afraid of flight delay. End up he was there for us while our plane landed on time and we managed to reach our stay early. Enjoy a consistent WiFi service and stay connected with your friends and family as you explore with this 4G Pocket WiFi! Simply book the device through the Klook website/app, pick up the device at an office conveniently located in central Singapore, and you're good to go. Once your trip is over, just head back to the same office on the next business day to drop it off. If you're too busy to pick it up yourself, you can also opt for a hassle-free courier service (one way or round trip) and get your pocket wifi delivered right to your doorstep! 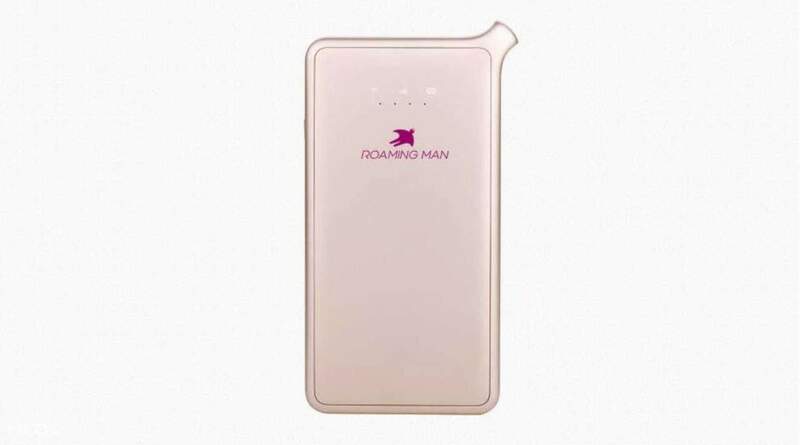 Surf the internet during your travels with the use of a high-speed connection with 500MB daily data allowance by bringing along this pocket-sized device, perfect for sending those cute holiday snaps at popular tourist hotspots or to look at maps for directions. Traveling with a group? No need to worry, as this device can also connect to five different devices all at once! 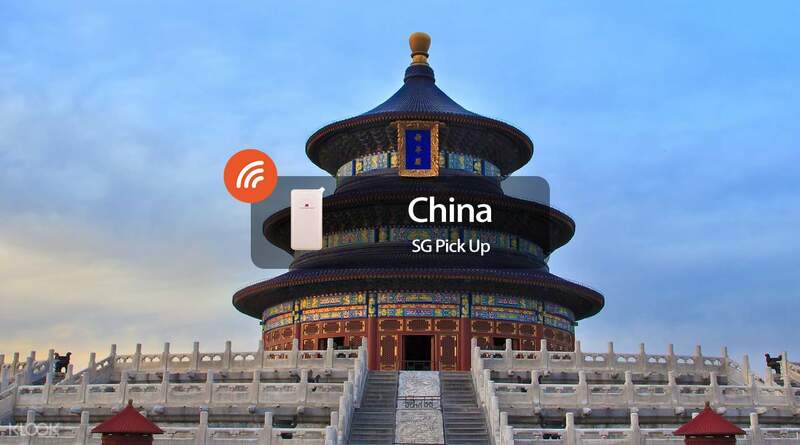 Pick up portable WiFi from central Singapore - convenient and easy! Overall for price, it’s considered a good deal. However, connection is not considered fantastic but just acceptable. This is because the content may take quite awhile to load and there are times it’s unable to load. Overall for price, it’s considered a good deal. However, connection is not considered fantastic but just acceptable. This is because the content may take quite awhile to load and there are times it’s unable to load. Good wifi connection in Chengdu, one had point is the battery indicator isn't clear. so wasn't sure what's the battery life left. also wish the collection n returning of device could be easier, like at the airport. Good wifi connection in Chengdu, one had point is the battery indicator isn't clear. so wasn't sure what's the battery life left. also wish the collection n returning of device could be easier, like at the airport. works perfectly in china. able to bypass to surf facebook, whatsapp, Instagram and youtube. Wi-Fi might be slow at certain places in China. works perfectly in china. able to bypass to surf facebook, whatsapp, Instagram and youtube. Wi-Fi might be slow at certain places in China. Went to Beijing's National Stadium and the Great Wall of China, connection is relatively slow there probably due to the crowd. Connection is also slow when the battery life left about 1 - 2 bars. For Android users heading to China, I would suggest that you download Secure VPN to access social media e.g. WhatsApp, Instagram, Twitter & FB. Lastly, remember don't check-in the Wifi with your luggage. Went to Beijing's National Stadium and the Great Wall of China, connection is relatively slow there probably due to the crowd. Connection is also slow when the battery life left about 1 - 2 bars. For Android users heading to China, I would suggest that you download Secure VPN to access social media e.g. WhatsApp, Instagram, Twitter & FB. Lastly, remember don't check-in the Wifi with your luggage. Booked this for my parents who are going to China and it was so easy to use that I don’t even have to teach them! Allowed them to use whatsapp to connect with us too. Booked this for my parents who are going to China and it was so easy to use that I don’t even have to teach them! Allowed them to use whatsapp to connect with us too. I booked a WiFi device for my Mrsfor China. She has to travel to Shenzhen, Jiangmen, Macau and Hong Kong. At first she was concerned whether the device will only work in China alone, but to her pleasant surprise, it worked flawlessly in Macau and Hong Kong as well. Really worth it. I booked a WiFi device for my Mrsfor China. She has to travel to Shenzhen, Jiangmen, Macau and Hong Kong. At first she was concerned whether the device will only work in China alone, but to her pleasant surprise, it worked flawlessly in Macau and Hong Kong as well. Really worth it. No problem with the wifi signal! highly recommend~ Have been a loyal customer of klook wifi eggs because they are all of quality and have ensured that all my travel experience are perfect with their good connectivity! No problem with the wifi signal! highly recommend~ Have been a loyal customer of klook wifi eggs because they are all of quality and have ensured that all my travel experience are perfect with their good connectivity! Can connect to facebook and whatsapp but my is not so stable maybe my device has some issue I have to keep resetting it to get connection. I would say I can use about 70% of the time which is still good. Can connect to facebook and whatsapp but my is not so stable maybe my device has some issue I have to keep resetting it to get connection. I would say I can use about 70% of the time which is still good.